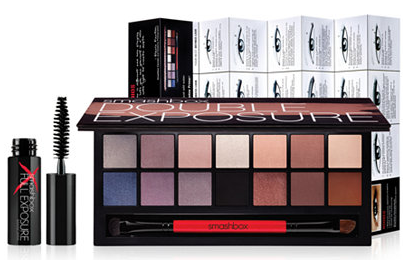 You are here: Home / Great Deals / Smashbox Double Exposure Eyeshadow Palette Only $26.00! Down From $52.00! Ships FREE! Macy has this Smashbox Double Exposure Eyeshadow Palette on sale for $26.00 (Reg. $52.00)! 14 shadows become 28–just activate with water! Each shadow transforms in 1 of 4 ways, thanks to coated pigments that create multiple effects when wet. The domed side absorbs just the right amount of water for impactful color and the angled side creates a precise line when wet, a diffused line when dry. Shadows won’t glaze over and always dry like new.